A chance to sample twelve different wines from around the world. All are top quality and have been chosen to reflect the different grapes and wine-making styles of each region. 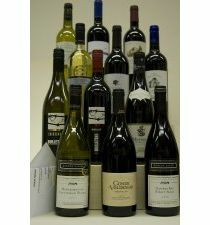 Included in this case are the finest wines from France, Italy, Spain, New Zealand, Chile, Australia, South Africa and Argentina. Something for everyone. Truly One World. Packed in 2 x 6 bottle cardboard boxes with personal message and next working day delivery (+£6.65).